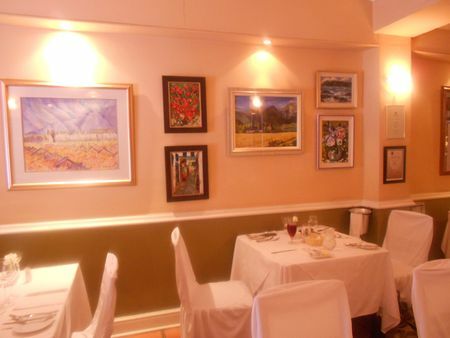 I find it incredible that we only found out about lovely Cargills Restaurant at 20 Station Road, Rondebosch, Western Cape, on Saturday 26th January 2013! A foodie chef friend took over the restaurant and treated his friends to an evening of superb food, finest wines and great conviviality. We were captivated. As soon as we could, we returned to Cargills, this time for lunch. 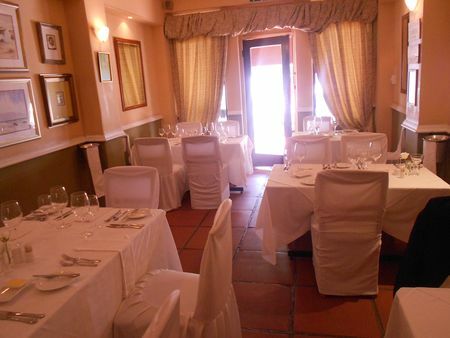 The restaurant, situated opposite Rondebosch station, is part of a row of shops with windows fronting directly onto the street. There is an air of genteel tranquillity, no hustle and bustle and lots of trees and shade. The Rondebosch library is there. As a young girl I used to take the bus to Rondebosch station to visit the library. And now, all the years on, it seems that time has stood still. Nothing has changed. All quaint and English villagey. We were warmly welcomed by the chef/patron Joszka (pronounced Yoshka) Nagy. South African, but of Hungarian heritage, he is the gentle spirit behind the lovely food. His pretty, young Irish wife, Vicki Tully, is his helpmate and partner. She assists at night and on the weekends. The restaurant draws one in with a charming vision of crisp white linen-covered tables and chairs all dressed up in their best with white linen wedding covers. Cool pale apricot and olive green walls are covered with paintings and mirrors and sconces that reflect the light upwards. The front door is framed by heavily draped curtains after the style of fine dining restaurants in Europe. Intimate and lovely! We perused the small, well chosen wine list which contains delightful descriptions of all its offerings. We would make our choices after we had decided on our meal. The menu changes according to availability of ingredients. I love it when a chef shares that information with me. It means lovely fresh ingredients and a chef’s versatility in being creative in dealing with the vagaries of the produce markets. Joszka tells me that 90% of his client base are locals. Well, no wonder I had never heard of Cargills! The locals have jealously guarded their little gem tucked away in a quiet village street. Over the years they have become friends with Joszka and Vicki. He emphasises that this is actually his social life. In fact, while we were there, a gentleman arrived and before he had sat down he told Joszka what he wanted to eat that day. He apologised that his wife was unwell and could not keep the appointment. No matter! On his departure, our patron presented him with a plate covered in foil. His wife would still enjoy a Cargills offering. Joszka insists that he does not do take-aways, but of course there are special circumstances! 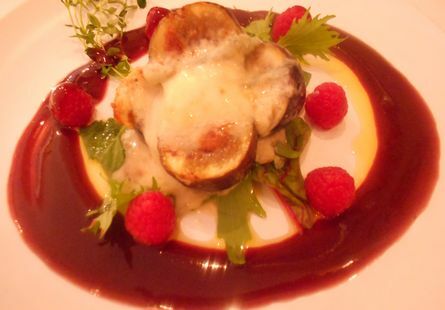 It is a compact menu with about 5 starters, more or less 6 main courses and about 5 desserts. On the day we were there for lunch, I chose 'Baked Fresh Figs with Gorgonzola, served with greens on a berry coulis' as a starter. Eugene was tempted by a ’Prawn & Avocado Salad with a sweet honey mustard dressing' but decided to skip a starter. You may want to try the 'Grilled Open Brown Mushrooms, topped with creamed spinach laced with whiskey & Norwegian Salmon', or 'Baked Camembert in Phyllo Pastry on greens with a berry coulis'. My mouth waters just writing about it. Oh and by the way, there are also daily specials. That day, chef had taken delivery of wonderfully fresh East Coast soles. That did it for me. I had loved them at the party and ordered them again as a main course. Eugene had raved about the Confit of Duck with an Orange and Honey sauce that he had devoured at the party. On our lunch visit, he ordered Confit of Duck again, but this time presented with a plum and honey sauce. Can you imagine the luscious deep purple plums at the market that day? Other main courses to choose would be a 'Fillet of Beef with a bordelaise sauce', or a 'Crisp Pork Belly with a pear and sage sauce'. 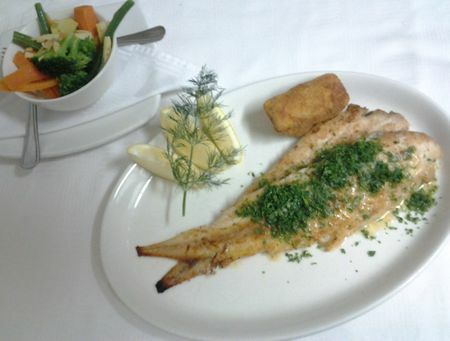 If the wonderful soles had not arrived, I would have ordered Pan Fried Tiger Prawns in a light chilli and garlic cream. To stave off starvation, a ramekin of delicate, delicious chicken liver paté was served accompanied by homemade ciabbata. I had to control an overwhelming urge to finish the lot. Eugene was making a meal of it! My starter of baked fresh figs with Gorgonzola was superb. A beautiful presentation of plump figs, halved and all bubbly with Gorgonzola, sat expectantly on a raspberry coulis and baby spinach leaves. Piquant, contrasting flavours blended perfectly and I loved it. It would also make a stunning dessert. Our lovely and unobtrusive waiter presented us with a palate cleanser of fresh and tangy lemon sorbet. I very reluctantly relinquished the flavours of the figs. The sorbets are obviously homemade and you might find yourself being offered a berry or a mixed greens variation. Eugene had been hugging the memory of the delicious duck he had eaten at the party. Now set before him was 'The Duck' accompanied by a bowl of crisp seasonal vegetable topped with toasted almonds. All main courses are served with a bowl of fresh seasonal vegetables and a delicious potato croquette. I have always believed that one risks disappointment when attempting to recreate an eating experience. No disappointment for Eugene on this day. He loved it. Flavourful and beautifully cooked, the plum and honey sauce was as successful as the orange and honey version he had previously so enjoyed. Our chef had done him proud. My soles were succulent and wonderfully prepared. First pan-fried in butter and then under the grill for a moment or two, the lovely moist and unctuous fish was presented in all its deliciousness. Oh my! Oh my! 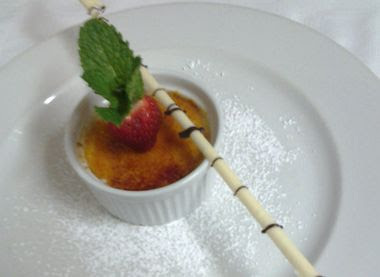 The dessert menu has 5 delectable offerings. You should try the excellent Crème Brulèe or you might order the 'Warm Pot au Chocolat' or 'Fresh Summer Berries in a Fine Chocolate Basket with chantilly cream and a berry coulis'. There is further temptation in the divine form of a 'Sparkling Champagne Berry Jelly with crème fraiche' or the 'White Chocolate Parfait' described as homemade ice-cream with a white chocolate sauce. Gorgeous homemade truffle chocolates are served at the end of the meal. All lovely, all delicious! By the time we had finished our meal, Joszka had completed the lunch service and was free to chat to us. He described how his love of food was born in a home where the appreciation of good food and particularly Hungarian food was a way of life. When he was old enough, he worked in professional kitchens, listening and learning. At the age of 18, he had the good fortune to meet and work for Val Stricke, the patronne of Fisherman's Grotto in Johannesburg. Here, under her tutelage, he learnt what he describes as his most important and valuable culinary lessons. He developed his cooking style which he describes as French, contemporary and international.. His mantra today is to 'keep it simple and don't overcomplicate.' This is a chef that believes in authenticity and goes as far as freezing freshly squeezed lemon juice in winter when the lemons are luscious and juicy. No fakery in Joszka's kitchen. He met his lovely Vicki when she was on a visit from Ireland. He then travelled to Ireland to work and to pursue the romance. 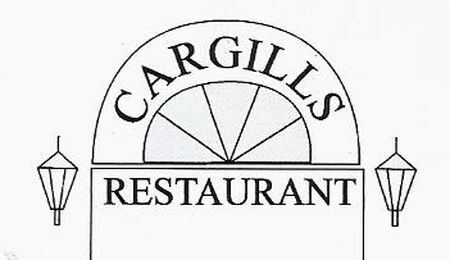 They bought Cargills in 2002 and opened just before they got married in 2003. The restaurant really is a labour of love for them both. The food reflects this love. It is advisable to book for dinner. Address: 20 Station Road, Rondebosch, Cape Town. Eugene and I love eating out and we pay for ourselves whenever and wherever we go. 'Back Chat Eats Out' are the dining experiences that Eugene and I have enjoyed and wish to share with you. They are written purely for pleasure and Back Chat is in no way affiliated to or remunerated by any establishment. It is always a delight to receive a comment from you. Thank you for your lovely words and generous spirit.